Whether it is a family heirloom or a recent thrift store find, our antique pocket watch restoration services can completely revitalize these timepieces of history.During the restoration process, conservation is our primary focus. We take care to maintain the originality of your watch whenever possible and only use authentic replacement parts, typically sourced from watchmaker estates or donor watches. 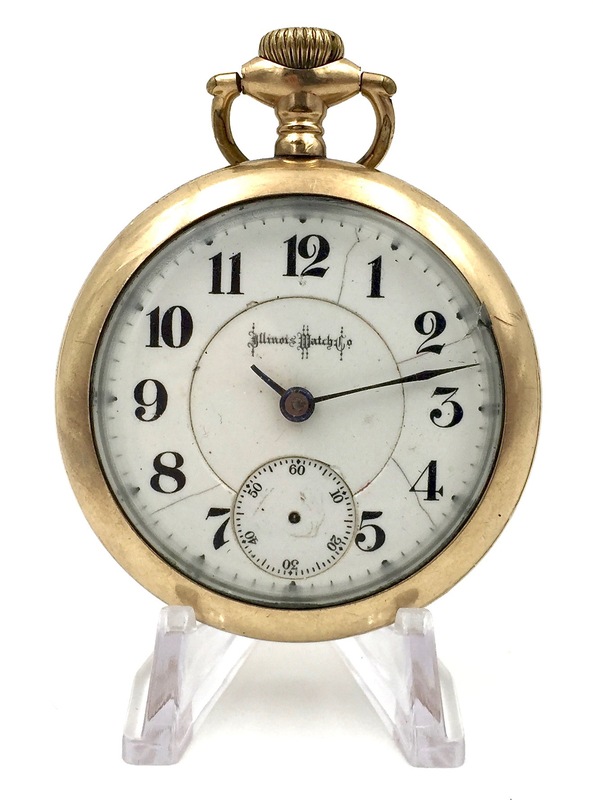 Below is a 1903 Illinois Bunn Pocket Watch we had the honor to restore recently. It arrived to us in very poor condition, but we were up to the challenge. This watch received a full top-to-bottom cosmetic restoration including a new set of hands and crystal. The case was cleaned and polished. The dial was brightened and deep-cleaned to conceal the hairlines that had developed over time. The movement was fully serviced and restored to the original factory specifications. The watch is now ready for the next 100 years, keeping accurate time within a few seconds per day. We recommend keeping the original dial whenever possible. Usually, an intricate cleaning process will brighten the dial and hide many defects. When a replacement dial is necessary due to major damage, we will find a dial to match the factory original. 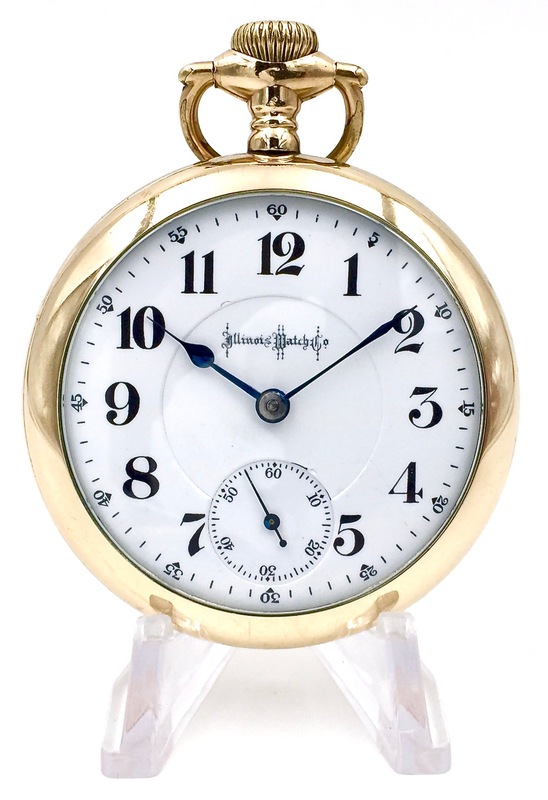 Your pocket watch case will be deep-cleaned and polished, restoring the original luster. If the existing hands are in good condition, we can restore the original finish and color. If the watch is missing hands or the hands are damaged beyond repair, a new set will be sourced to match the hands that originally adorned the movement when it was delivered from the factory. Over time, the glass or plastic crystal will become chipped, scratched, discolored, or cloudy. Unless the original crystal is flawless, a new glass crystal will be installed to restore the clarity of the watch as if it were new. During the restoration process, the movement will be disassembled completely, deep-cleaned, oiled, and adjusted to original factory specifications. Depending on the level of restoration, steel parts can be polished and the inlay can be renewed.